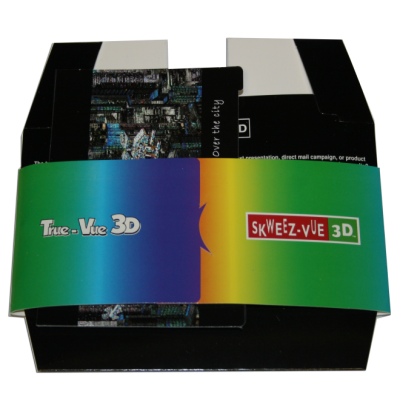 True-Vue 3D APO (Skweez-Vue™ Style) - The Skweez-Vue 3D system allows for a single permanent 3D view or multiple views with interchangeable cards. 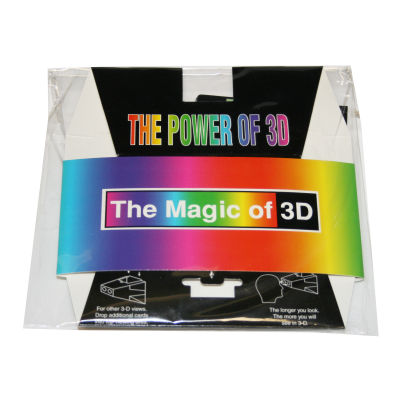 This American Paper Optics exclusive surrounds the viewer with full 4 color stereo imagery without compromising the color. 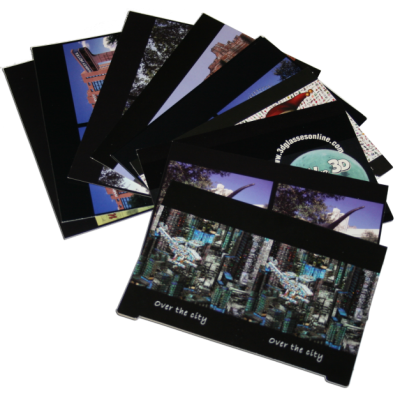 This multiple card system is the best way to communicate both images and graphics through stereoscopic vision. 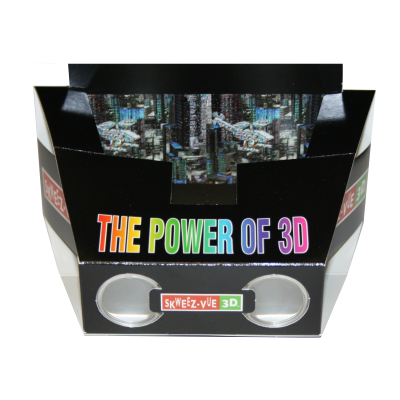 True-Vue 3D APO - The Skweez-Vue 3D system allows for a single permanent 3D view or multiple views with interchangeable cards. This American Paper Optics exclusive surrounds the viewer with full 4 color stereo imagery without compromising the color. This multiple card system is the best way to communicate both images and graphics through stereoscopic vision.